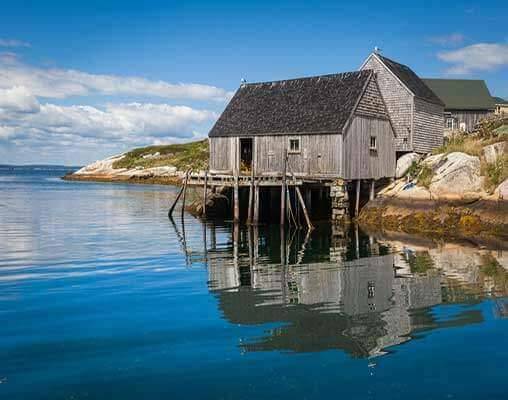 Begin your trip with a visit to Peggy’s Cove, a charming fishing village, before heading to Lunenburg, a picturesque town on the coast and a UNESCO World Heritage Site. 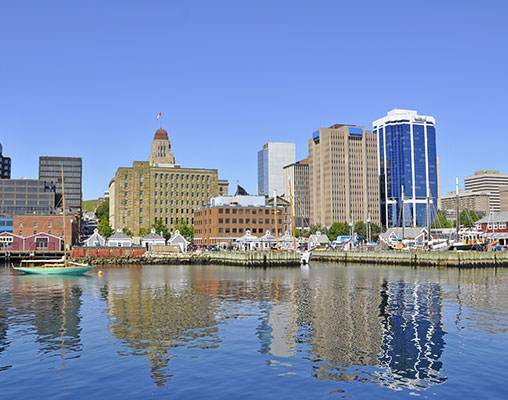 You’ll also see the sights in Halifax before moving on to Moncton, New Brunswick. 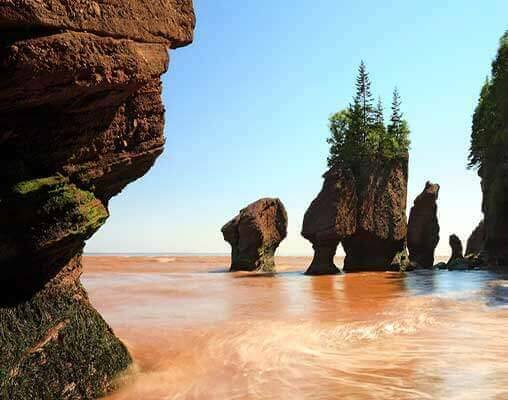 A definite highlight of this vacation will be your visit to Hopewell Rocks, home to the wildest tides in the world that can reach as high as 52 feet! Then, taking the 8-mile long Confederation Bridge, enjoy views of the Northumberland Strait, and arrive at Prince Edward Island, welcomed over a lobster dinner. The provincial capital of Charlottetown on this island envelops you with coastal beauty. 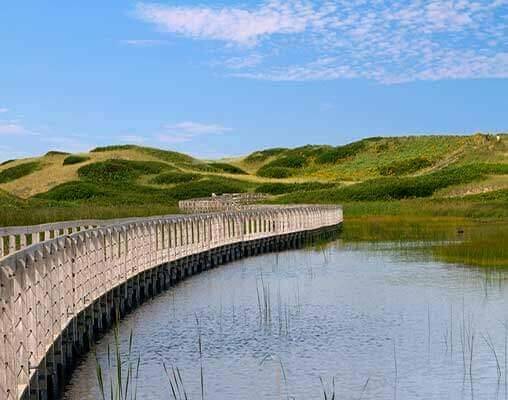 Prince Edward Island, setting for the popular Anne of Green Gables novel, paints a picture you’ll never forget. 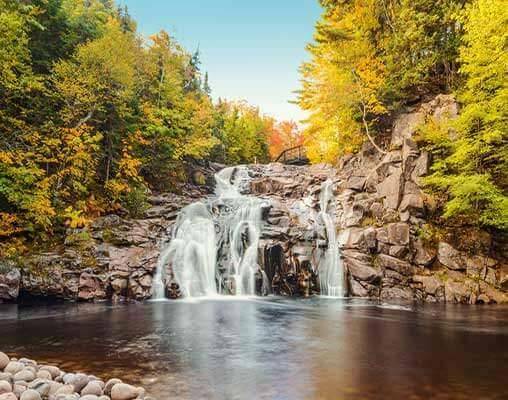 Discover the Ceilidh Trail, where the first Scottish Highlanders made their mark, and then on to Cape Breton, which bears a surprising resemblance to Scotland’s landscape and seacoast. Keep your camera ready as you embark on the Cabot Trail, one of the most scenic drives in the world, and take in the Acadian culture and pride carried on the fresh island breeze. On your way back to Halifax, enjoy the scenic drive, stopping at Jeddore Oyster Pond to learn about the fisherman’s culture here. 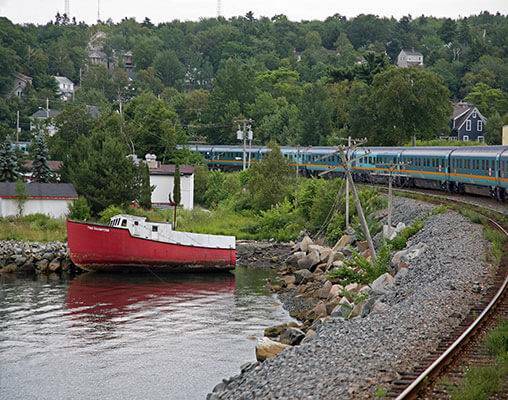 After a night in Halifax, board VIA Rail’s Ocean train for gorgeous views and a smooth overnight ride to Montreal. Spend a half day seeing the sights in this cosmopolitan city and enjoy its many charms and two overnights here—an incredible vacation! VIA Rail accommodations are Sleeper Plus class in a private cabin. Meals are included aboard the train along with exclusive access to lounges and observation cars. 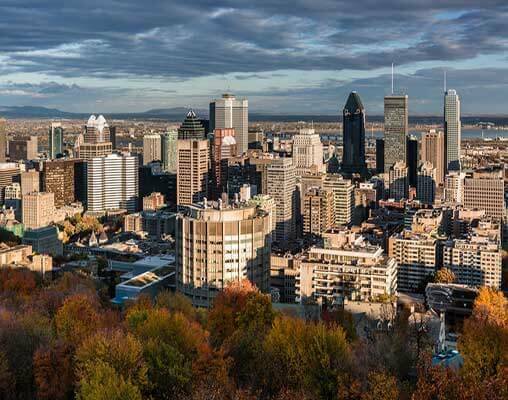 Hotels include the Westin Nova Scotian, Delta Beausejour, Delta Prince Edward, Silver Dart Lodge, Marriott Montreal Chateau Champlain. Enter your details below if you would like to be notified when 2020 dates and prices are available for Wonders of the Maritimes & Scenic Cape Breton with Ocean Train to Montreal. Any applicable Goods and Service Tax (GST) and/or Harmonized Sales Tax (HST) for Canada are additional.